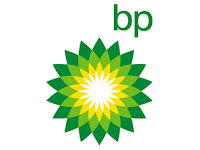 Last week BP Alternative Energy, a subsidary of oil-giant BP (BP), announced two renewable energy deals. The first is a long-term power purchase agreement signed with American Electric Power (AEP) to buy 200 megawatts of wind power from BP Alternative Energy's Fowler Ridge Wind Farm in Indiana. BP also announced a partnership with Powerspan, a pollution-control technology developer, to develop and commercialize technology for carbon capture at power plants. Jack Uldrich, President of the NanoVeritas Group, points out on the Motley Fool that these two deals are further proof the energy company's "growing commitment to renewables." BP's research, investment, and execution in the renewable energy sector (including five new wind power projects in the U.S.) have started showing results. BP, Uldrich believes, is a company that is demonstrating rela commitment to preparing for a "carbon-constrained future." That is, a world with policies and regulations limiting the emissions of carbon dioxide (CO2) - a major contributor to global warming. BP Solar - a business with BP Energy - has also teamed up with the California Institute of Technology to develop "radical" new methods of using nanotechnology to produce more efficient solar cells. This sort of investment from one of the world's largest and most profitable solar companies could shake things up a bit for others like Evergreen Solar (ESLR) and Trina Solar (ADR). For all this progress, however, Uldrich warns against viewing BP as a "cleantech" investment. dip their toe into the renewable energy market. Furthermore, because of its growing commitment to solar, wind, and biofuels, that 8% figure is likely to grow over the coming years. With a down-to-earth P/E ratio of just over 10 - which is about 15% lower than ExxonMobil's (XOM) and ConocoPhillips' (COP) P/E ratio - it offers a relatively low level of risk at an attractive price." The progress and profitability of BP's cleantech offerings reminds me of something that ExxonMobil's VP of Public Affairs, Ken Cohen, told me back in February. When I asked how Exxon can assure investors that the company is staying competitive with carbon regulation coming down the pipeline, Cohen responded flatly that until Exxon sees its competitors making money from renewable energy projects, Exxon is keeping its distance. Exxon will only work with technologies that are “robust enough to stand on their own two feet” and at this time, solar and wind don’t fit the bill. Cohen and the rest of Exxon better be keeping tabs on companies like BP, which are taking serious steps to expand into the renewable energy sector. Although these investments are certainly a small slice of the giant BP oil and gas pie, we do need the collaboration of companies like this to shift our energy system to a cleaner, more efficient one that is better prepared to handle a carbon-constrained 21st century.